For decades Humboldt County has been known for its supreme quality cannabis. Only the lucky few have been able to enjoy a true Humboldt grown strain. Well now it is your chance to enjoy the best cannabis grown in the world! Join us for a tour of cannabis farms deep in the Redwoods of Humboldt County, California. Enjoy the best craft cannabis in the world. Learn about the history of cannabis growing from master growers. Let us show you behind the Redwood curtain. Humboldt cannabis tours are like no other. We will show you all the aspects of the cannabis culture here by giving you an inside look into how we make some of the worlds finest weed. Let Humboldt County locals plan your unique adventure into the heart of cannabis country. We can put together any kind of experience that you can dream up for your 420 tour. Our Cannabis connoisseurs have the resources, connections and imagination to create an unforgettable visit to the Emerald Triangle. 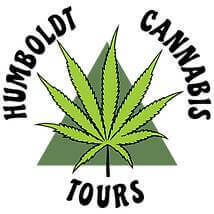 This very informative one day trip is a great introduction into the behind the scenes look of the “Emerald Triangle’s” cannabis culture in Humboldt. Starting the trip off in the historically hippy town of Arcata, California. You will start the day at the “Humboldt Patient Resource Center”, the most respected cannabis dispensary in Northern California. This tour includes a stop with a gourmet lunch showcasing local ingredients when possible. We will then head into the hills to experience a working outdoor cannabis farm set into the beautiful landscape of Northern California showing you how it all works and how we produce great cannabis. Contact us and book your wonderful cannabis vacation and tour with the best 420 tour company in Northern California. Check out our 5 star Yelp reviews!